We are the largest supplier of natural gas fuel control systems worldwide. Through our constant improvements in performance, efficiency and emissions, our systems have become a dominant driver in the Asia Pacific market. Our engine control modules, power distribution modules and GPS hybrid receiver systems are just a few examples of the essential components preferred by many large boat builders. We are the largest global supplier of material-handling engine control systems. Our fuel systems for industrial mobile applications provide greater flexibility for your applications. We create system critical components for the power generation market. We keep engines performing at their best using industry-leading technology to give you maximum flexibility. Proven expertise. Cutting-edge innovation. Fastest turnaround. EControls combines proven engine control expertise with cutting-edge products to produce total engine control and emissions systems with the fastest time to market within the industry. 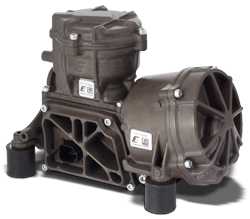 Since 1994, our products have delivered innovation and customer satisfaction to the engine and vehicle industries. We offer natural gas, propane, gasoline and diesel engine control and fuel management systems that help OEM customers meet stringent emission requirements while maximizing engine power and efficiency. We create state-of-the-art engine applications by utilizing calibration development and testing to meet emissions, drivability and fuel economy requirements. We produce robust engine control systems, which includes critical components such as fueling systems, harnesses, sensors and actuators. Our high-quality, rugged systems are used in the industry’s most demanding environments. EControls products are backed by years of industry-leading expertise for heavy-duty trucks, buses, forklifts, power generation, marine and agricultural segments. Our systems are designed to meet the most stringent on-road and off-road emission standards as well as the industrial Large Spark Ignited (LSI) and NESHAPS regulations. Beyond providing engine control systems, our team offers expertise in base engine design and development built on years of converting base gasoline or diesel engines to gaseous fuels. EControls has been featured as part of "Manufacturing Marvels" on the Fox Business News network. EControls is an exciting company that looks for highly skilled, technical innovators.